If you don’t live in the tropics, you buy coconut water in little bottles or boxes at high prices. 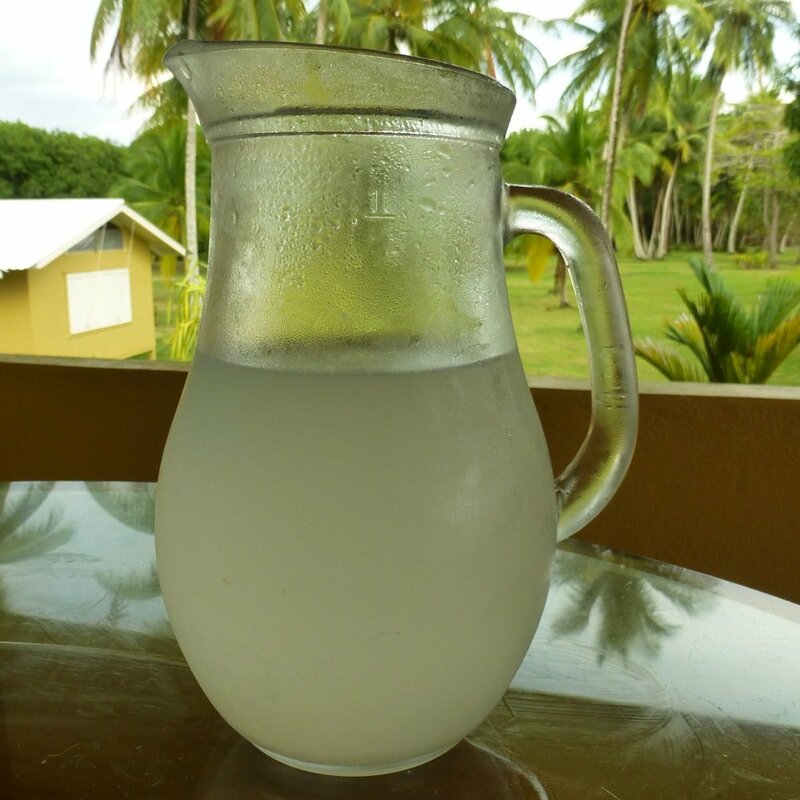 There are many real health benefits of coconut water and it is so refreshing on a hot day. Traveling in Bali, we made the happy discovery that sidewalk vendors and small restaurants keep a pile of coconuts handy and will slice one open for you. You can watch them use a small machete to carve the top at an angle and then make a small hole in the top. It is a delicious and inexpensive beverage, served with a straw. 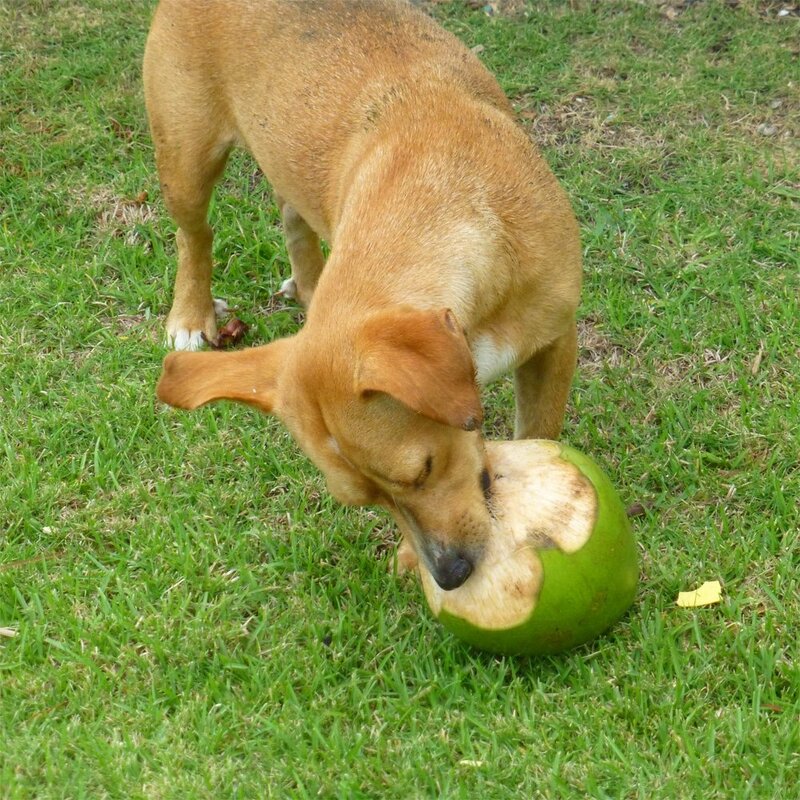 We found that the same natural coconut water was also available in Thailand and in Costa Rica. 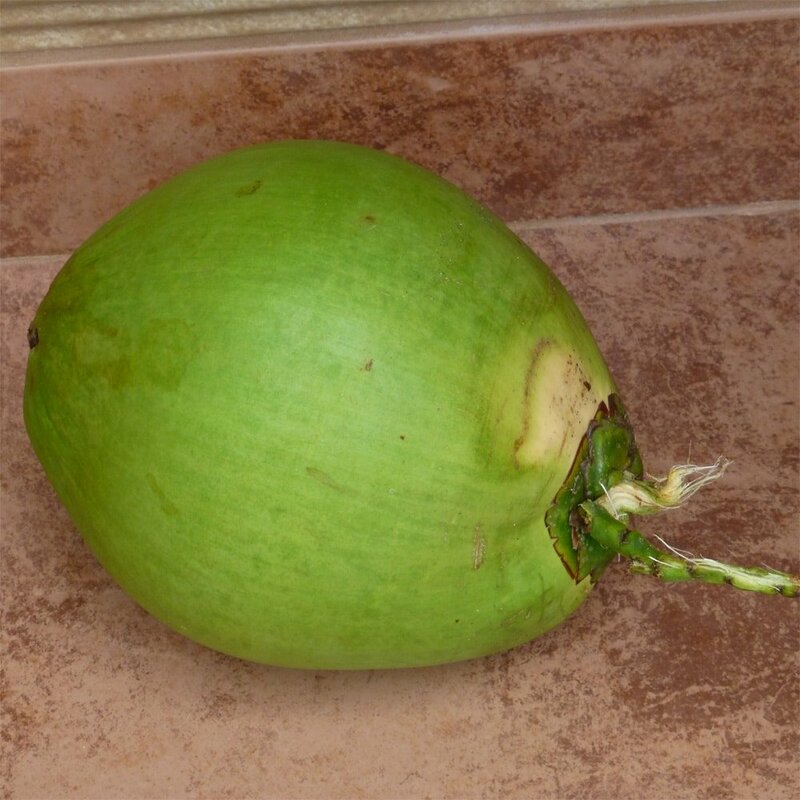 The best pipa comes from young coconuts, so you want to choose one that is green. 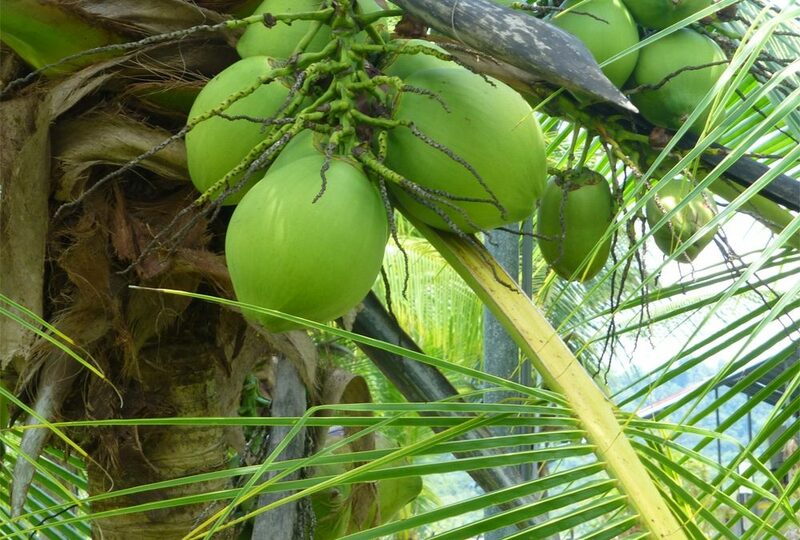 There are many different sizes of coconut trees. 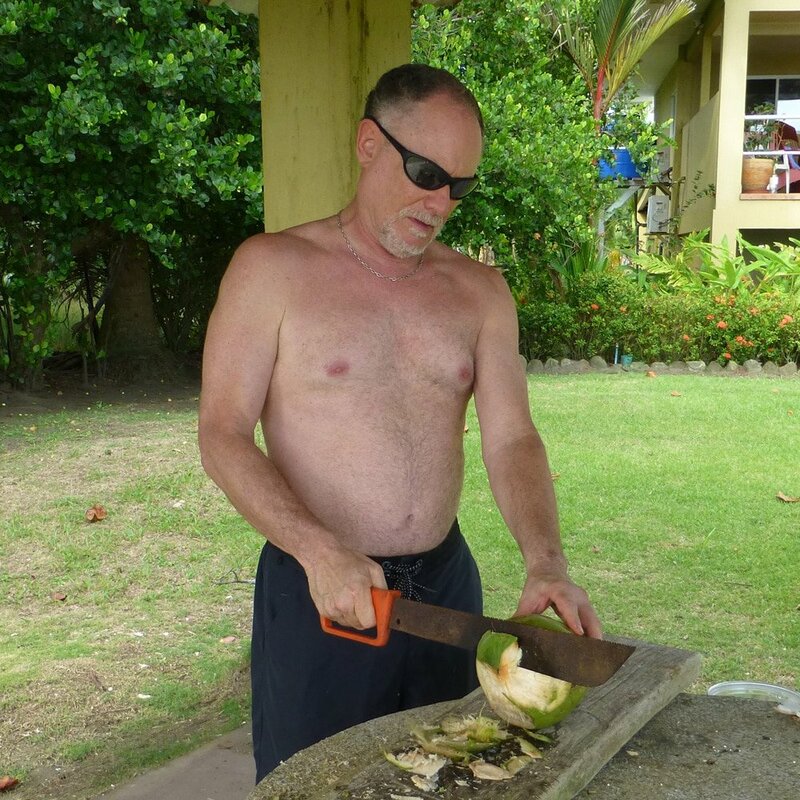 You can often find one short enough to just reach up and cut off one of the coconuts. If not, use a branch, stick, or length of bamboo to knock one off by poking at the stem at the top. Be careful not to get bonked! In Costa Rica, where coconut water is called agua de pipa, or just pipa, there are coconut trees everywhere. They grow on the sides of the roads and along the beaches. We have watched locals, spending a day at the beach, knock coconuts down from trees with a long bamboo pole (which also litter the beaches there). Then they use a machete and soon have a delicious, refreshing treat. 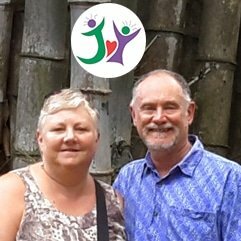 When we were house sitting in Costa Rica, we decided we wanted to try it ourselves. 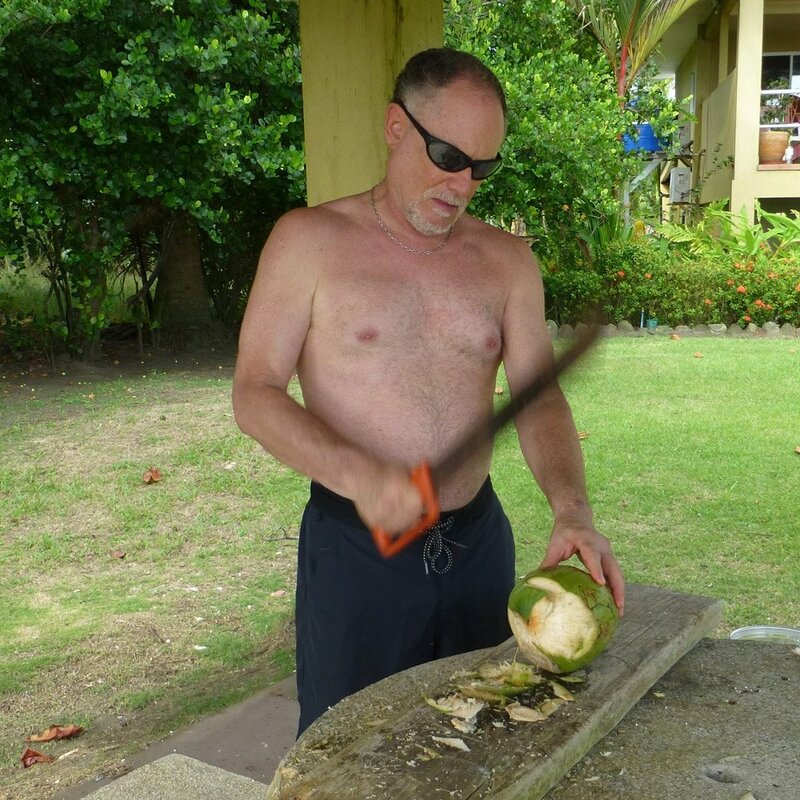 There were an abundance of coconut trees and a machete was available. There was also a gardener named Santana, who was happy to give us a quick demonstration. Costa Ricans use machetes for many gardening tasks. Theirs are short and sharpened to a fine edge. I used a long one that wasnt so sharp, but it still worked fine. It just took several chops. 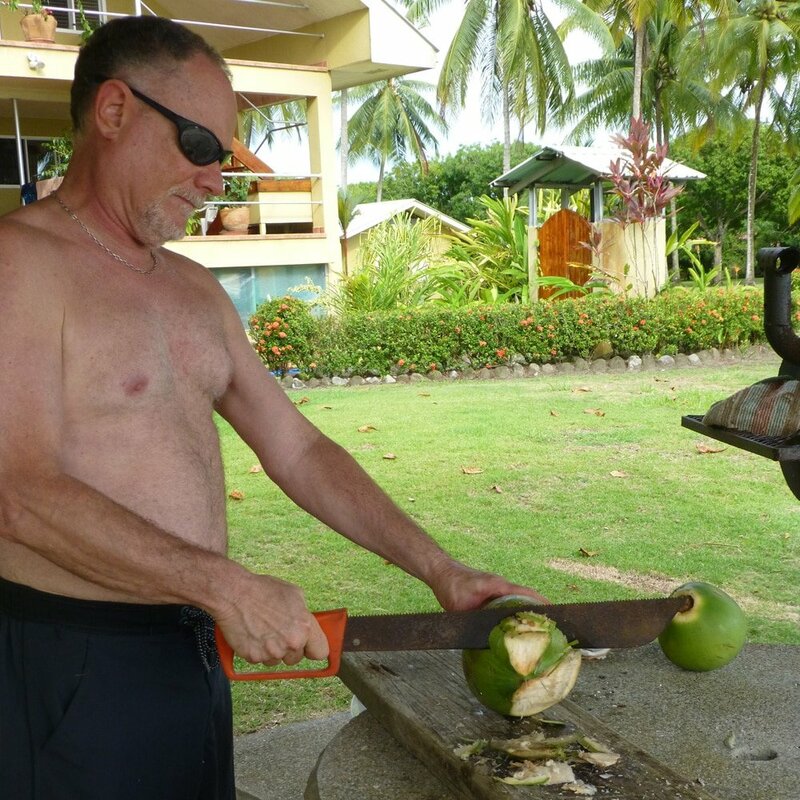 The trick is to slice up at an angle, toward the top of the coconut making it thinner. The final small cut is made into the top of the coconut. 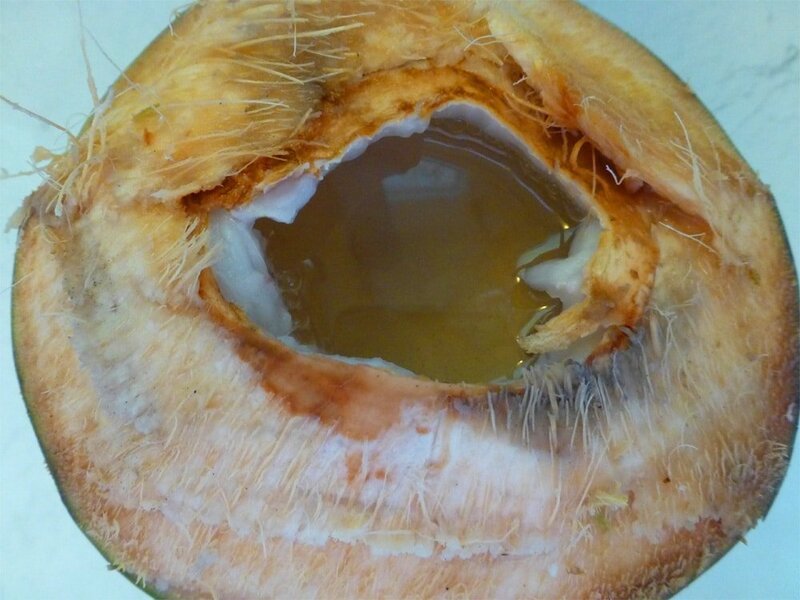 Be sure to have a bowl handy to pour the coconut water into. You may be surprised by how much water you get from one. Look at all that delicious coconut water! 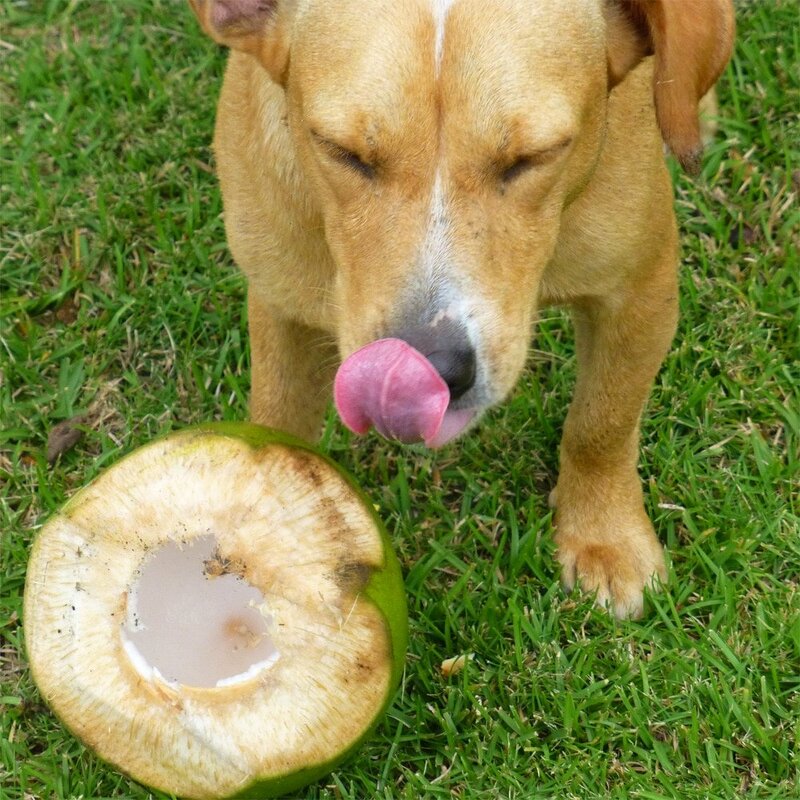 Our doggy friend, Buster, likes coconut water too! 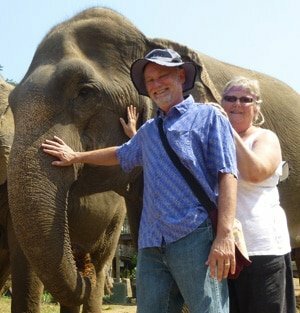 There is so much to love about traveling in the tropics. But, all the mosquito bites? Not so much! This safe and effective insect repellent is a must have travel item (and is not available locally).